You won't know if you're more impressed w/the home, or the backyard! You'll love the spacious kitchen, loaded w/cabinet & counter space. Light wood cabinets offset w/stainless steel appliances & can lighting. Kitchen opens to dining & an open family room w/views to the backyard. Of course there's a downstairs bedroom! Upstairs is an impressive loft, w/room for a seating area, office & home gym. You'll love the engineered wood flooring. The master BR has a walk in closet & a beautiful master bath . Also upstairs are 2 more BR's & a laundry room. The backyard has mature trees, grass,shade, & an amazing heated pool w/grotto waterfall, & a spa OVER the grotto. 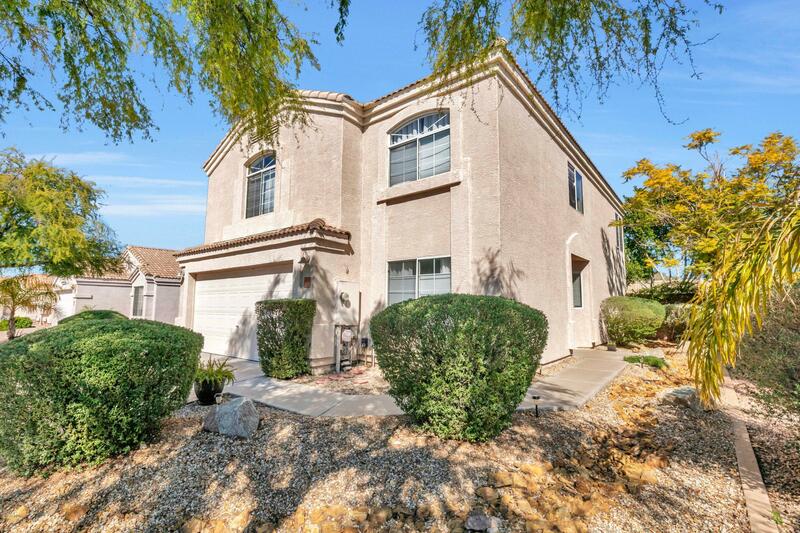 5 min from Desert Ridge shopping/dining with close/convenient access to all major freeways. You have to see this one!